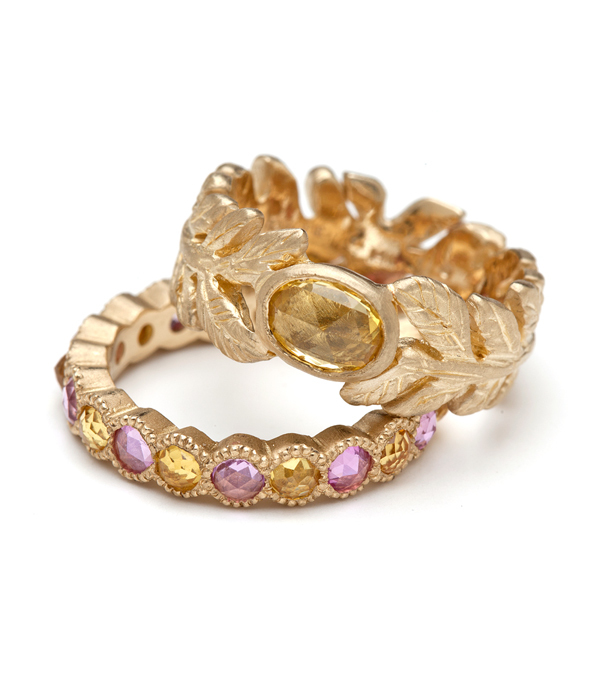 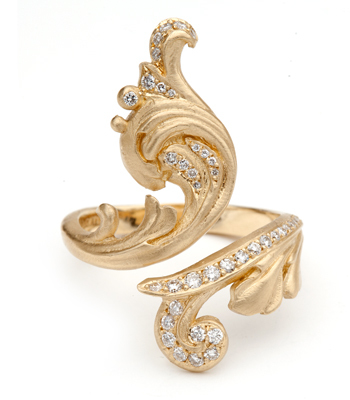 A sculpted garland wraps gracefully around the finger and is highlighted with an oval shape rose cut yellow sapphire. 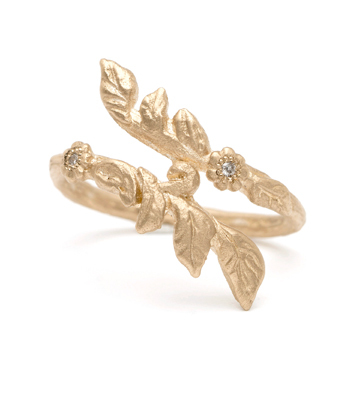 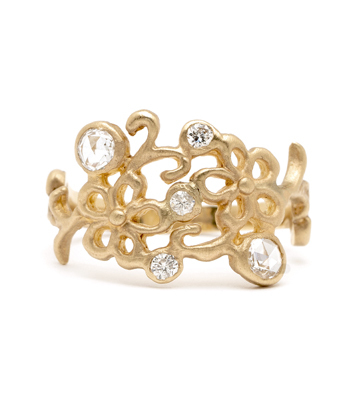 Subtle and beautiful everyday piece or a lovely, non-traditional engagement ring for the bohemian beauty who enjoys nature inspired pieces! 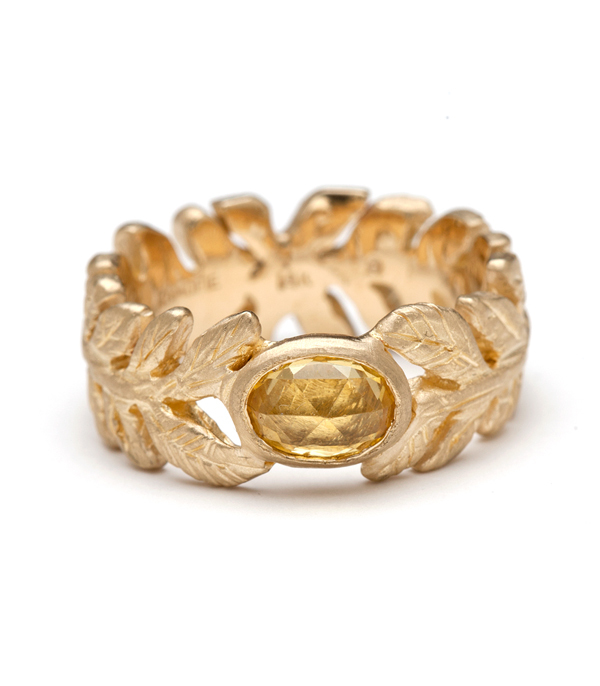 This 14K matte yellow gold band measures approximately 7mm.